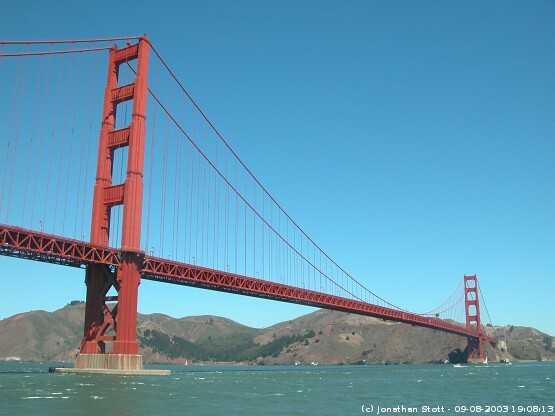 The Golden Gate Bridge stands at the entrance to San Francisco Bay, linking the city of San Francisco with Marin County. It was opened in 1937 - then the largest suspension bridge in the world. The span is some 1280m (4200ft) and the two towers stand 230m (746ft) above the water.